1. Praise your peers and acknowledge their contributions: He called out by name every member of the cabin crew and then went on to explain how they had the same number of hours of training as the pilots albeit in the field of safety, security and first-aid. And he mentioned that on average they had 2 flights a year where they saved a life. 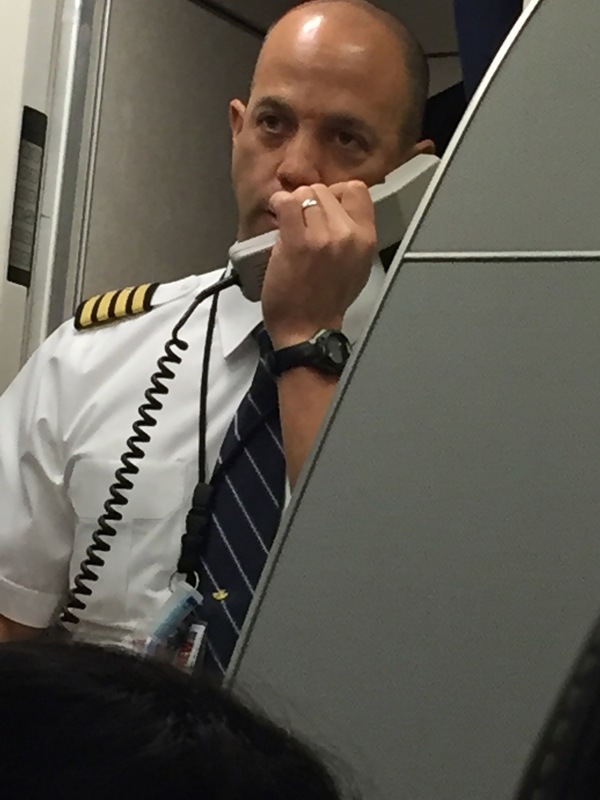 When was the last time you had a captain that stand up and sing praises of his cabin crew? But wait there is more. 3. Thank & delight your customers like you mean it: He went on “Some of you may be going home to Philly while others may be just starting your journey. Either way, I want to personally assure all of you that it is my aim to make sure that this flight is the highlight of your entire business trip or vacation”. #SayWhat! That had me (and a lot of passengers) wide eyed and awake at midnight. And finally rounding it off with “I want to thank you for giving me and the crew an opportunity to be the best that we can be. Will talk to you in Philly, have a comfortable and quiet night”. Now airlines get a bad rap – even the best of them – recall United, American and more recently Southwest getting into hot water with handling passengers like baggage! But there are also shining examples like Captain. Jason Lopez who raise the customer service bar so high, that I want to experience ‘Flying the Friendly Skies’ repeatedly. #RespectCaptain and way to go #United.